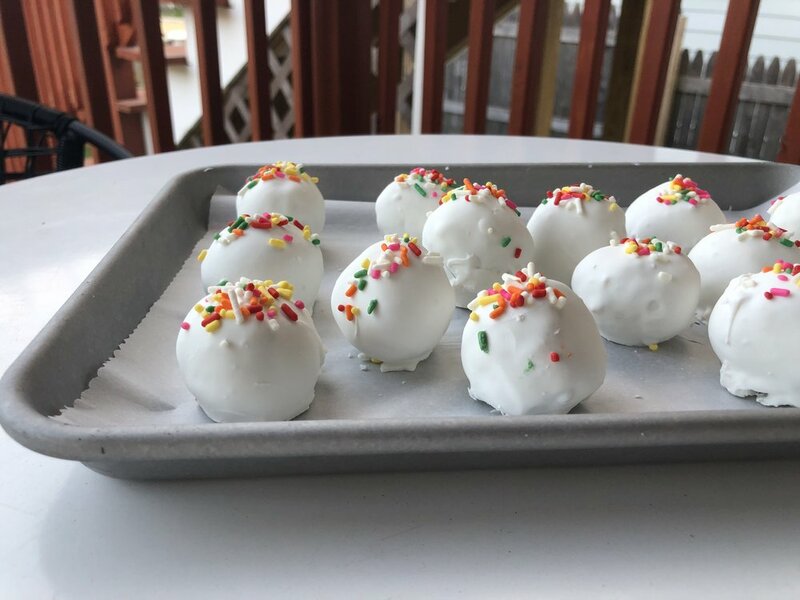 Cake Balls are so easy to make! First bake a sheet cake and crumble it up once it's cool. After, you mix in a container of frosting and shape the mixture into balls. Let those balls freeze for at least 4 hours, and then dip them in melted candy melts. Voila! Cake Balls. For this version, I did a funfetti recipe so that the insides had sprinkles too. While the chocolate was still cooling off, I added the sprinkles on top for an added cue that this cake ball means birthday cake business. The one downside to cake balls is that they are incredible rich! 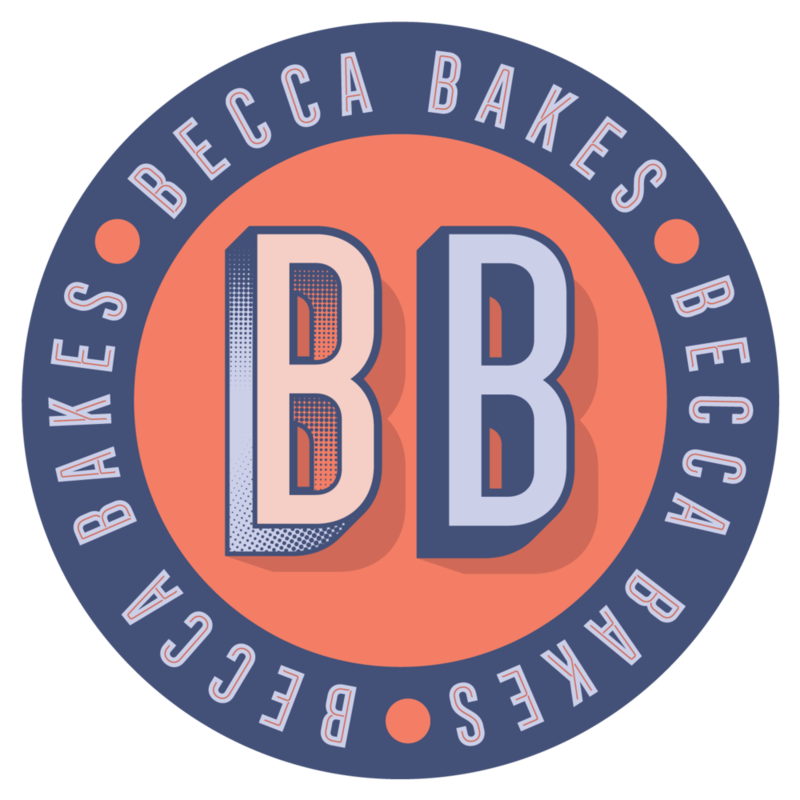 You forgot you're basically eating a whole piece of cake in a couple bites. However, I love this treat because of all the ways you could mix and match your cake/frosting/chocolate/decoration.